Thank you in advance for your support. Your donations are greatly appreciated and will be used to support our mission. Katina’s Klassroom stands on a firm principle: With Books You Can Go Places. #READ. 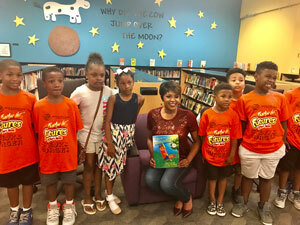 Thus, our mission is to significantly improve the reading skills and educational opportunities of pre-k to middle school children in underserved communities. We spark a love of reading and knowledge by building children personal, home libraries. The Noyaa school is arguably located in one of the poorest districts of Accra, Ghana. Many of the students are orphans and sleep on the beach or in fishing boats nearby. Others are from desperately poor families. Your donation would provide a warm meal and school supplies for children. To bring awareness, help, hope and healing to those often overlooked due to economic insecurities. By developing action plans with schools and parents, creating techniques for getting a child engaged in reading beyond the classroom, and tackling food insecurity which is directly tied to a child’s learning - we focus on nourishment for the mind, body and soul. 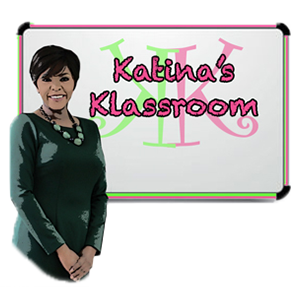 We invite you to enter Katina’s Klassroom to continue making a difference in a child’s life.